Singapore is a foodie paradise. 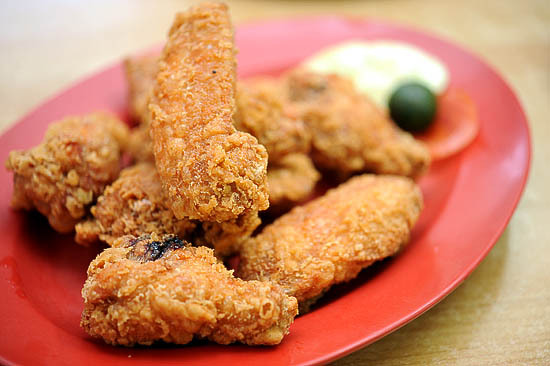 It is not exaggerating to say that eating is part of the Singapore Spirit. Since we will be celebrating National day in a month’s time, I thought it would be nice to write about some of the must-eats in Singapore. Here’s my list of 10 Things to Eat in Singapore. For first time visitors, it is a must to try all the popular hawker food from places like Chomp Chomp Hawker Centre and Old Airport Road Market. If you are willing to spend more on food, Singapore has many excellent fine dining restaurants, like Les Amis and Iggy’s. And of course, we mustn’t forget about the Celebrity Chefs Restaurants like Waku Ghin, Santi, CUT at the swanky Marina Bay Sands; Osia and L’Atelier de Joel Robuchon at Resorts World Sentosa. However, I’ll not be including Singapore’s best restaurants in this post. Instead, I want to share about some of the food that I miss whenever I am out of town. For non-food recommendations, please read my list of 10 Things to do in Singapore. If you ask around which is the most famous Singapore food, chances are, people will reply with either chilli crab or chicken rice. Amongst the many good chicken rice stalls in Singapore, I’d suggest going to either Tian Tian Hainanese chicken rice or Boon Tong Kee. I like Tian Tian’s chicken rice, but I hate the queue. If you are lazy to queue like me, go to Maxwell market before or after lunch hour. Tian Tian is definitely one of the best chicken rice in Singapore. Boon Tong Kee, on the other hand, is a tricky one. Many people would argue that it is a commercialised restaurant, and there are probably lots of places that have better chicken rice. Let me explain. With six branches around the island, Boon Tong Kee is much more accessible, and you can have your chicken rice in a clean environment (not everyone is willing to brave the heat in hawker centre). It is a relatively safe option to bring your overseas visitors there for their first taste of our famous Singapore chicken rice. 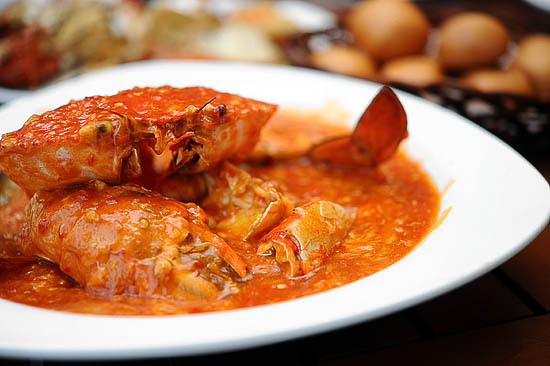 As mentioned, Chilli Crab is probably the most famous Singapore food. 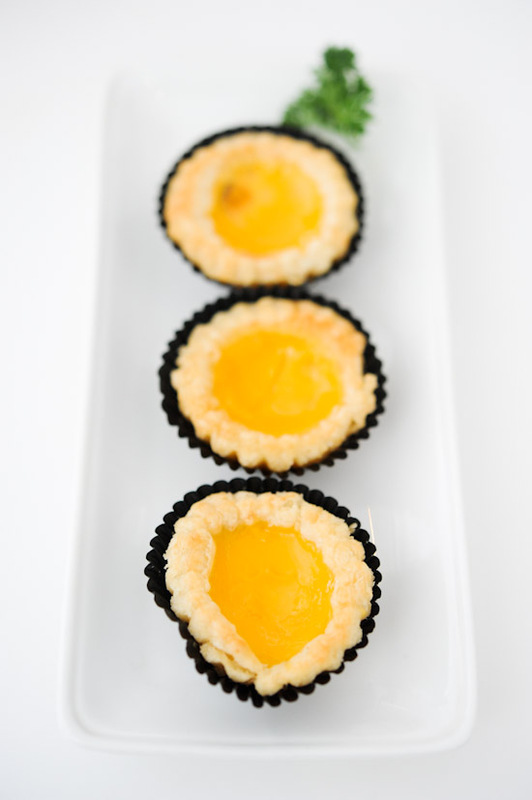 It is the face of Singapore Cuisine, the must-try food for tourists. You cannot visit Singapore without having Chili Crab. There are many Chinese seafood restaurants in Singapore serving this popular dish, but my favourite is No Signboard at Geylang. Fresh meaty crabs in a spicy-sweet chili sauce with deep-fried mantou – this is one of the most satisfying experiences in life. Kaya is a coconut jam made from coconut milk, eggs which are flavoured by pandan leaf and sweetened with sugar. It is easily one of the best jam spread ever created. Spread the kaya on the toast with a generous slab of butter – this is a very delicious thing for breakfast, tea, or supper. 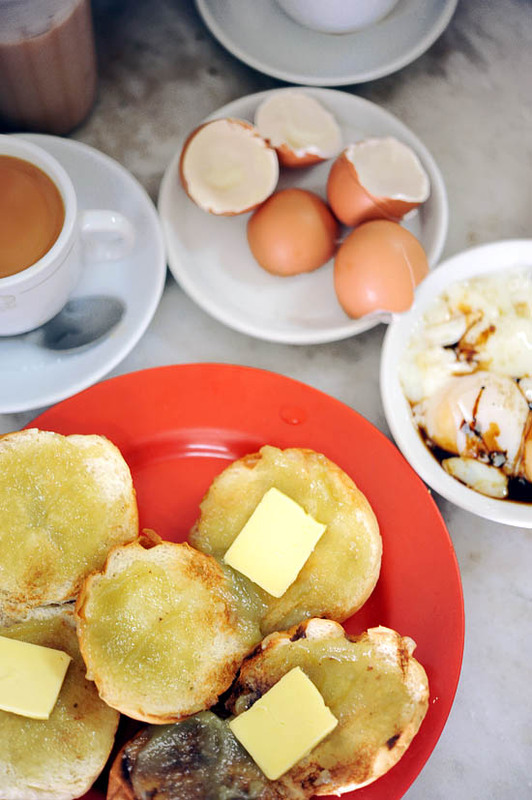 All you need is kaya toast, soft-boiled eggs and a cup of coffee. This is the best local breakfast. There are plenty of tropical fruits to eat in Singapore, so it is a good idea to head to the markets if you are not from the region. Some of the must-try fruits are: rambutans, mangosteen, longan, lychee, durian, and mango. Even though I hate durian, I think it’s a pretty cool experience to visit Geylang and sit by the roadside to try the king of fruits. 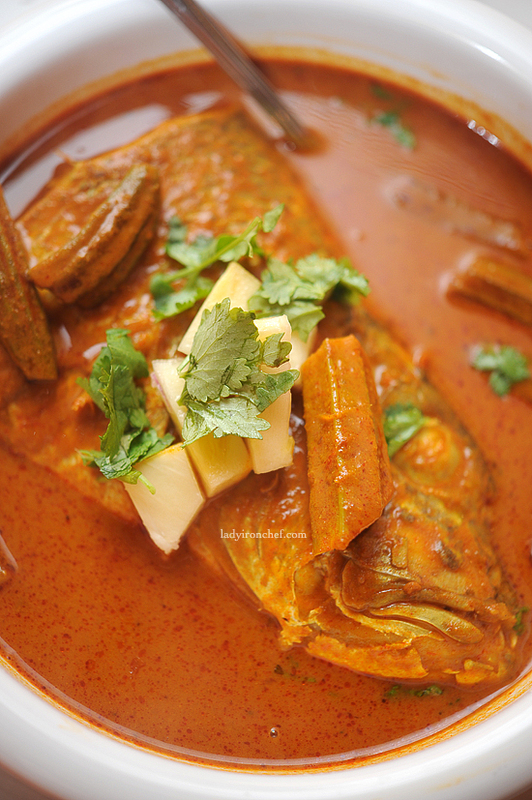 Fish Head Curry is a dish created by Singapore’s Malayalee. Cooked in a hot and spicy Indian curry, the large fish head is usually eaten with white rice or bread. Try the one from Muthu’s Curry at Race Course road. Laksa has a rich coconut-based curry soup with rice noodles alongside ingredients like cockles, shrimp, tau pok and fish cake. The first time I had a bowl of laksa (many years ago) was a total revelation. It was like taking a plane for the first time; the first sip of champagne, or having the first ever taste of foie gras. It was something very special. Without a doubt, Laksa is one of the Singapore’s must-eats. Zi Char (also known as Zhi Char/Cze Char/Tze Char) is a Chinese stall (in a coffee shop) that serves a variety of ala carte dishes at affordable prices. Different ‘restaurants’ have their own unique signature dishes, but a typical zi char place will usually has the following: meat items – pork ribs, har cheong gai ($8 – $20); vegetables – sambal kangkong, kailan ($6 – $12), side dishes – beancurd, noodles, rice ($4 – $20) ; and seafood – prawn, fish, crabs ($15 upwards). There are many good zi char places in Singapore, but I’d recommend Holland Village XO Fish Head Bee Hoon (for har cheong gai), Keng Eng Kee Seafood and for a slightly more upmarket option, Ming Kee Live Seafood. Peranakan Cuisine, also known as Nyonya food, is the result of blending Chinese ingredients and wok cooking techniques with spices used by the Malay/Indonesian community. There are plenty of Peranakan restaurants in Singapore serving fantastic nyonya food, you can check out the fairly new Candlenut Kitchen by Malcolm lee – one of the up and coming chefs in Singapore; and Ivin’s – a popular and no frills place for families to have dinner. Hong Kong might be the land of dim sum, but I feel that some restaurants in Singapore serve very good dim sum too. I’m sure everyone knows by now: my favourite dim sum restaurants in Singapore are Royal China at Raffles Hotel, Yanting Restaurant at St Regis, and Taste Paradise at Ion Orchard. This is a simple question. My answer is definitely Char Kway Teow. The stir-fried noodle is artery clogging, but it is very, very tasty! For me, the best char kway teow in Singapore will be the one from Zion Road. You MUST EAT it! I wrote this list of 10 Things to eat in Singapore for the NDP 2011 Official Website, but this is not a sponsored blog post and I have not received any monetary benefits in return. That said, I got two tickets to the NDP preview and I’ll be writing a second post to share more about the Singapore spirit during the parade. Besides all the good food, what do you think defines the Singapore spirit? Share your thoughts at the NDP website and NDPeeps Facebook page! haha,just in time for playing host to ppl from overseas, thanks for this useful list! Missing rojak and bak gu teh ! But I would have definitely added Hokkien fried mee… And perhaps some satay. BTW – is there any Indian food which is quintessentially Singaporean? I am from the Philippines and I am planning to visit Singapore with my husband soon. All of the dishes you wrote about are exactly all the dishes that I want to try in Singapore! Thanks! ? 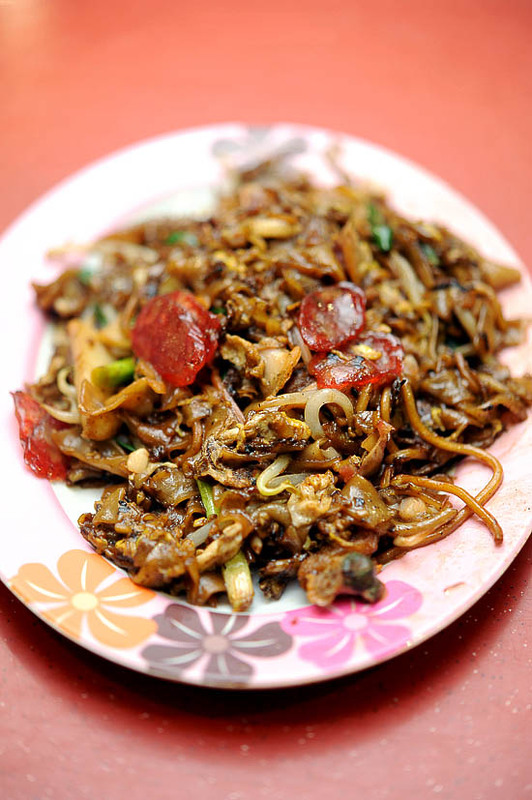 robin: Besides char kway teow, Hokkieen mee is probably the second dish that i’d miss the most if I am away from Singapore. But I want to keep a nice balance of hawker food and others for this Singapore must-eats list. Like what I’ve mentioned to YY, my next list will definitely include hokkien mee. thanks a lot! I find this soO Helpful as I’m going to SG in 1 week time and was trying hard searching for good food. The recommendations are all my favourites too!! love this post! i might be going to singapore in october so i’ll bookmark this page thank u! Nice!!! It would be complete with Nasi lemak and prata!!! I just returned from Singapore and actually had dinner at 2 of the 10 you have listed. I had dinner at No Signboard Seafood as well as Muthu’s Curry. Both were excellent and I highly recommend. Enjoy. what about rojak? I only know one at Clementi and one at bukit panjang. I happened to chance upon your blog. Your list is only presentable if there are no Hong Kongers. Also, I personally think tian tian chicken rice is only good for those who are not allergic to MSG. For people who are (like myself), we can only go for the steam white chicken. Great list! Can’t wait to come back! Can I suggest Five Star Hainanese Chicken Rice too? I would probably agree with you about the chicken rice and chilli crab. But I find char kway teow in Singapore to be invariably “sweet” because hawkers use sweet black sauce. I would leave this one for when I’m in KL. I also read about the “kia su” phenomena and wonder if that can be classified as a quintessential Singapore spirit? Really? Where’s Sup Merah Tulang Kambing on the list? I always had that whenever I went to Singapore. Always brought some home back too! All this food looks so GOOOOOOOD to me. Sorry, but your pictures make me slightly dizzy. Very Delicious food!And so Tasty! A two days visit for my friend here in Singapore this coming June is not enough, i need to let her try all the good food here suggested by you and the tourist spot as well. Oh well, i just hope we have all the time in the world! I have been to Singapore many times. To be honest, I love to eat in Singapore because it is sanitary and people have good manner. Service in Singapore is really nice. There are just so many unique local food in Singapore to savour. It’s no wonder I always tell friends visiting from oversea, there’s nothing much to do in Singapore except eat. Excellent list!! We are planning to visit Singapore and this list is very helpful.